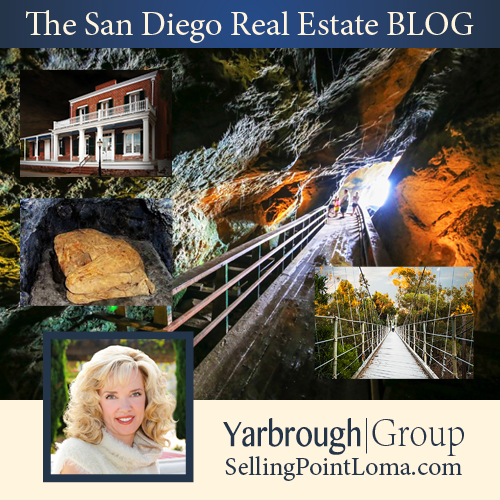 Did you know there is a hidden cave beneath a store front in La Jolla? The Sunny Jim Cave Store has the only entrance to any sea cave in California that you can access via land. The entrance is a narrow and dim tunnel that leads from the store to a staircase made of 145 damp steps that descend directly into the sea cave. The narrow tunnel and cave walls are incredibly colorful, due to the natural minerals and the effect the saltwater has on them. They’ve also become a home to pigeons and sea birds, giving this already dark tunnel a vibe that Hitchcock would approve of. 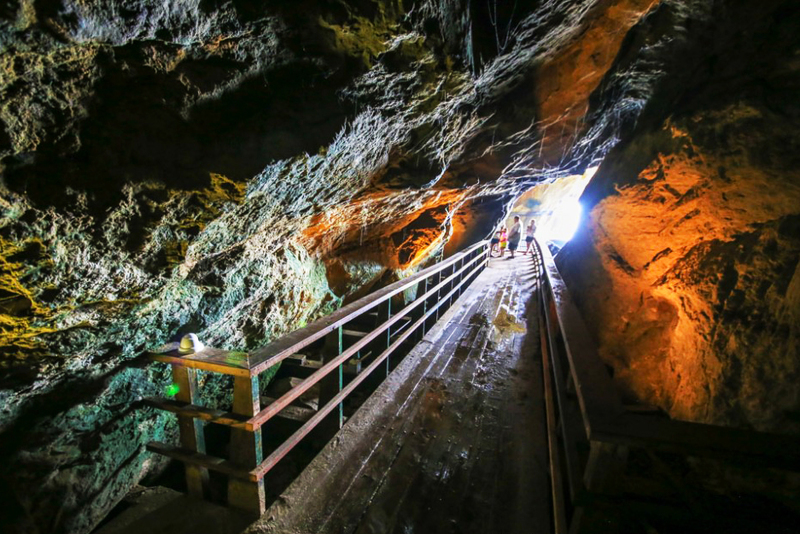 The tunnel was created Gustauf Schultz, a German painter, struggling artist, and mining engineer who hired two laborers and they started digging in 1902. These two men completed the tunnel just a year later and Gustauf began charging a few cents for the opportunity to be lowered into the cave via a long rope. The rope has since been replaced with a steep staircase that can be just as treacherous due to dim lighting and ocean water spray. It is not recommended for the elderly, the very young, or the impaired. After Gustauf’s death in 1912, his fellow La Jollans were surprised to find his widow arrive to run the shop, considering most of them had no idea he had been married. She continued to run the curio shop and cave attraction into the early 1920s, when the tunnel was allegedly used during prohibition to smuggle alcohol into San Diego. The cave gets its memorable name from L. Frank Baum, the creator of the Wizard of Oz. 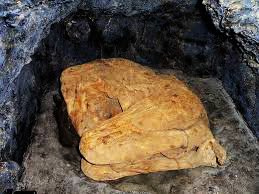 When he visited, he named it that because the cave mouth reminded him of the profile of a 1920s British cereal cartoon mascot of the same name. Trinkets featuring the famous visitor and that cartoon character’s profile can be seen in the store above as well. 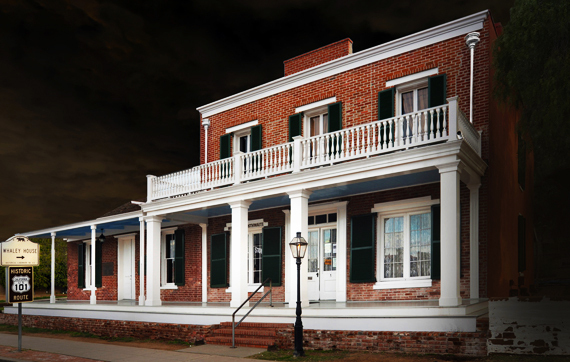 Did you know that San Diego is home to the most haunted house in the United States. The home is reported to be haunted by docents, visitors, and yes, even Regis Philbin. Aside from housing the Whaley family, the home also served as San Diego’s first commercial theater, a general store, and the county courthouse. The house is currently furnished in tribute to the many functions it served before being turned into a museum. Volunteer docents in period costumes are quick to point out rooms that are said to be haunted by Whaley family members who died in the home and others who were hanged on site. You can even get a peek at some of the roped-off rooms on if you visit when the San Diego Ghost Hunters hosts a Whaley House Museum Paranormal Investigation Tour on the last weekend of every month. Yes you heard that right. Mummies. In San Diego. 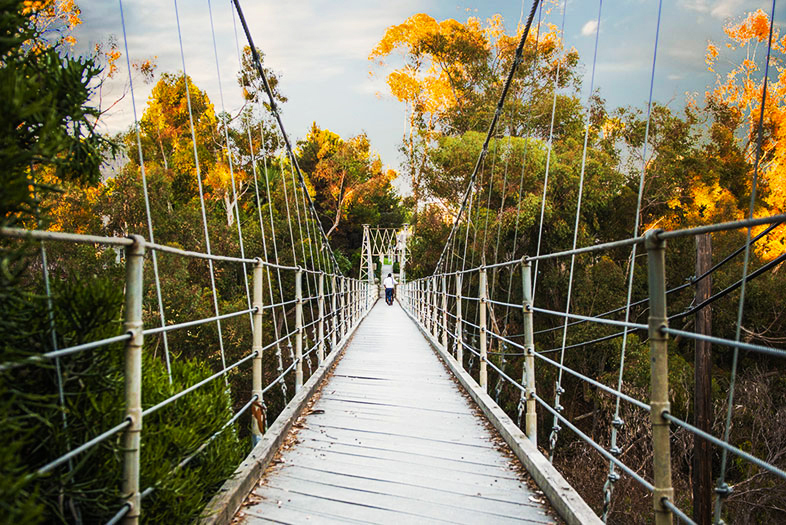 Located in the residential Bankers Hill neighborhood, the Spruce Street Suspension Bridge is supported by cables embedded in massive concrete slabs beneath the soil. Walking over the long bridge isn’t for those with a fear of heights—the bridge literally suspends over the canyon, and a sharp wind gust can make it swing slightly. Build in 1912, and engineered by Edwin Capps, this footbridge was initially designed to provide pedestrians a passage across the deep canyon, to get between the new trolley lines built on Fourth and Fifth avenue. It now serves as a secret, serene, and very romantic spot, beloved by locals and visitors to San Diego alike.